Imagine the scene. It’s 1986: you’re sitting in your teenage bedroom, plugged into the latest Hip-Hop beats – music your parents don’t understand at all – on your Walkman. You’ve splurged all your allowance on Run-DMC’s new album Raising Hell and you’re two tracks in when ‘My Adidas’ starts to play. You’re hooked on the song, but what are these shoes its talking about? It seems like a lifetime ago, but Rap and Hip-Hop stars didn’t always set the sartorial tone, and they certainly weren’t paid for it. The release of ‘My Adidas’, a tribute to the sneakers’ appropriation by New York street kids, changed all that. Seeing the popularity of its Superstar sneakers at a Run-DMC gig – where audience members waved their shoes in the air as the song was performed – Adidas signed the band to a $1M endorsement deal. This was a huge coup for a Hip-Hop act at the time, a genre that was still breaking into the mainstream. In Adidas’ case, the partnership reaped even more rewards, not only increasing awareness of its products among Run-DMC’s fanbase but also embedding the brand within Hip-Hop culture. This association has endured in the US, where fashion-loving Hip-Hop fans are 80 percentage points more likely to have purchased an Adidas product in the last two years compared to the average US consumer. Appealing to fans of the genre is becoming big business. In 2017, Hip-Hop surpassed rock to become the US’s most listened to musical genre, making rappers and Hip-Hop artists obvious candidates for brand ambassador roles. This intensifies further when trying to reach young people: globally, Hip-Hop and Rap rank second and third, respectively, as the most popular music types among 16-24 year olds. At a time when brands struggle to gain credibility with young consumers, Hip-Hop artists – known for their straight-talking message – can provide a veneer of authenticity. The genre is also known for celebrating money, and the accompanying trappings, as symbols of success so it doesn’t seem crass to slip in some product names into the source material itself. We all know that rappers love their cars and cognac, but do fashion brands resonate with their fans? 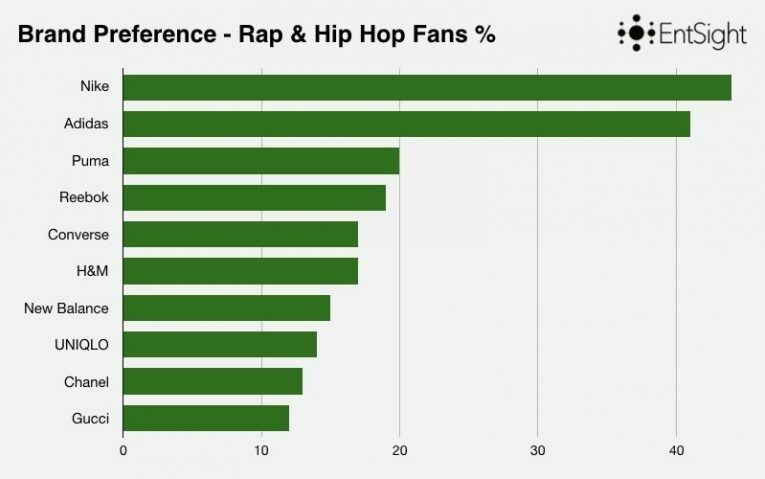 GlobalWebIndex data reveals that 42% of Hip-Hop fans and 35% of those who listen to Rap either count fashion among their key interests or talk about the topic online; Rap in particular over-indexes by 44 percentage points vs. the average consumer, the greatest difference across all genres. It should be noted that the marriage between music and fashion has always been a close one. There’s Mods and Rockers in the 1960s, tribes divided by their clothes as much as their taste in music, Punks in the late 70s and laissez-faire Grunge attire in the 90s. 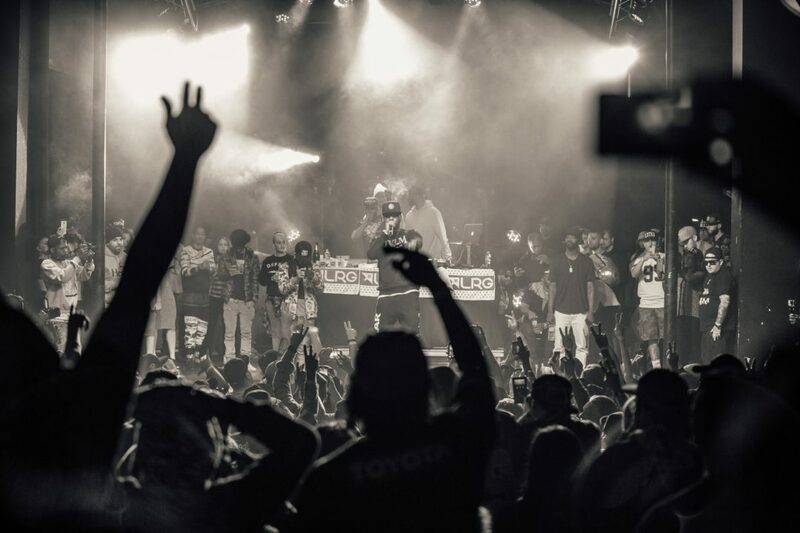 The Netflix documentary series Hip Hop Evolution highlights how the genre is rooted in politics and identity, birthing its own fashion codes inspired by the way young black people in urban America dressed in the 80s. However, rarely has a style managed to remodel a whole segment of the market: sportswear became streetwear, and Adidas Superstars, old basketball shoes made by a German brand, became a status symbol. This continues to be illustrated by the brand preferences of Rap and Hip-Hop fans today. Six out of the top ten clothing retailers these consumers have purchased from during the past two years are sports brands, with Nike overtaking Adidas thanks to the ubiquity of its Air Force 1 sneakers – once called ‘Uptowns’ due to their popularity in Harlem – among rappers. Indeed, sneakers are the driving force of streetwear, with all six brands producing an iconic shoe worn by the Hip-Hop community. In addition, Hip-Hop fans with an interest in fashion are 48 percentage points more likely than average to have bought shoes online in the last six months. PUMA recently acknowledged this cultural connection with a line of suede Breakdance-inspired shoes, paying tribute to the B boys and girls who wore its shoes during the 80s. Increasingly, however, it is the luxury segment where Hip-Hop is making most impact. Rappers have become a fixture of ad campaigns, from A$AP Rocky’s promotion of #MyCalvins to Travis Scott’s appearance in a 2016 Saint Laurent brand film. These artists are even collaborating on design, at Louis Vuitton, Versace and JW Anderson among just a handful of examples. With Generations Y and Z expected to account for 45% of global luxury spending by 2015, according to a Bain & Company report, this is a savvy move by brands seeking to tap into youth preferences and behaviours. Intentionally or otherwise, product placement is common in Hip-Hop and Rap lyrics, cementing the names of brands and products in the consciousness of aspirational consumers, whether they can afford these goods or not (just under half of Hip-Hop & Rap fans in the US fit into the Mid 50% earning bracket). Referenced brands tend to be luxury ones: for example, Bloomberg analysis of the top Hip-Hop tracks in the US Billboard Hot 100 over the past three years identified Rolls-Royce as the most mentioned brand. Nike’s Air Jordans and Rolex represented the fashion & accessories market. In this way, Hip-Hop is shifting away from the accessible ‘My Adidas’ towards Ayo & Teo’s 2017 song ‘Rolex’, with Cardi B exposing Christian Louboutin to a new generation of consumers via her track ‘Bodak Yellow’ (sample lyric: “These expensive, these is red bottoms / These is bloody shoes / Hit the store, I can get ‘em both / I don’t wanna choose”). 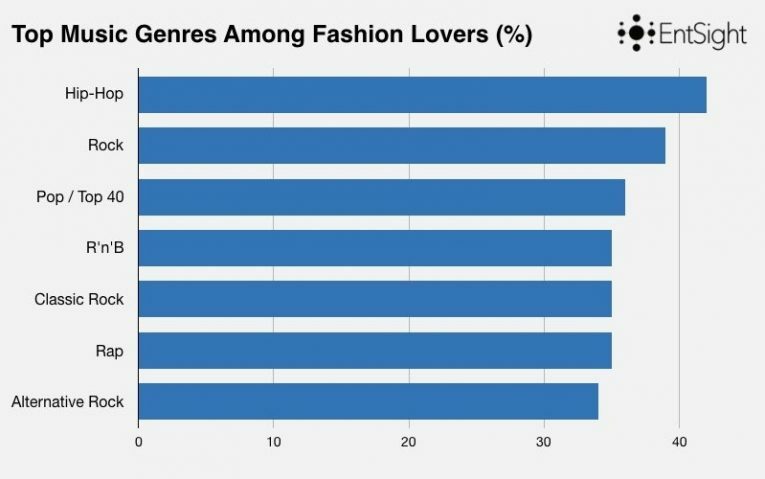 Chanel and Gucci were the leading luxury brands Hip-Hop fans purchase from, with a respective 13% and 12% of consumers buying their products. 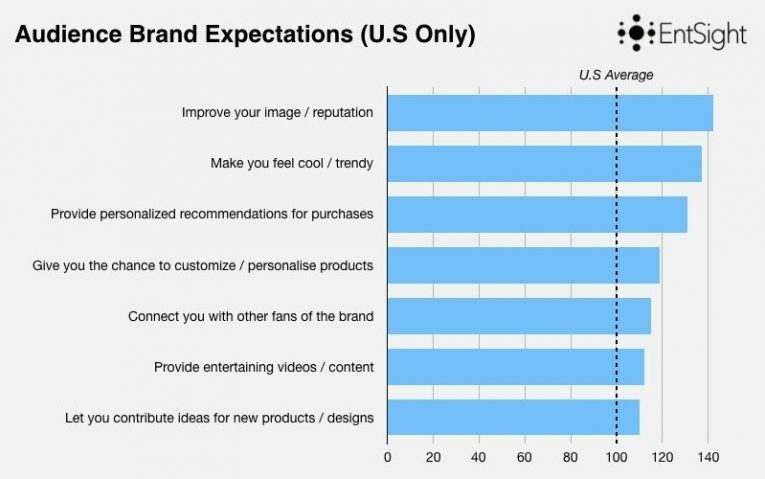 Brand strategy plays a role in this, but Chanel and Gucci are also speaking to the aspirations of this audience. When we examine the top priorities for consumers’ relationships with brands in the US, the world’s biggest market for Rap and Hip-Hop, it’s clear that this audience places a strong emphasis on dressing to impress. They are 42 percentage points more likely to want a brand to ‘Improve [their] image or reputation’ than the average consumer, and 37 percentage points more interested in feeling ‘cool or trendy’. By contrast, they under-indexed for sustainability and product utility. It helps that both brands have a long history with the Hip-Hop community. Chanel, for example, referenced Hip-Hop in its designs as early as 1991 and recognising the allure of funky fresh shoes, collaborated with Pharrell Williams on what WWD described as “the world’s most exclusive sneakers”. Gucci, meanwhile, has been name-checked, plagiarised and appropriated by rappers for nearly as long as the genre has existed. Thanks to Kanye, it has even entered the lexicon: “What’s Gucci?” is the new “What’s up?”. Last month, the brand unveiled its collaboration with legendary designer Dapper Dan, who made luxury ‘knockups’ for rappers in the 80s before they made their millions, signalling its respect for the street culture that has helped bolster Gucci’s profit margins. But while Gucci teams up with the Hip-Hop establishment, its products are being introduced to a new generation thanks to the power of music: 17-year-old rapper Lil Pump’s track ‘Gucci Gang’ has racked up more than 723M views on YouTube. With liberal references to selling drugs in the video, he may not make an ideal Gucci ambassador, but the brand would be wise to keep an eye on him if they want to maintain their lead.